Because of the many styles and brands of hearing aids that are available, our audiologists work closely with you to ensure you’re fitted with the aid that best fits your needs, level of hearing loss and lifestyle. Hearing aids may look the same on the outside, but there are varying degrees of technical complexity on the inside. We have a wide variety of top-of-the-line brands available. All of these are available with a three-year warranty which covers repair, loss, and damage. The right size and style – The right fit can make all the difference, so be sure to get a hearing aid that fits your ear snugly but comfortably. Your lifestyle – If you have a more active lifestyle, you’ll want to choose a higher functioning hearing aid that can filter out distracting sounds and hone in on speech sounds. If your lifestyle is quieter and involves more small group or one-on-one settings, a basic amplified hearing aid can be considered. Bluetooth-compatibility – Many of today’s hearing aids are able to seamlessly sync with cell phones and computers. Through Bluetooth technology, you are able to switch back and forth between traditional use and cell use without touching your phone. You can hear conversations binaurally (both ears), which improves understanding over the phone. Some hearing aids connect directly to your phone! Extended warranty – The rigors of daily life can take their toll on even the most durable of hearing aids, so having an extended warranty makes good sense. 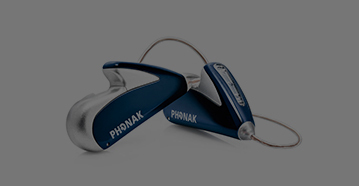 Water-resistant – While no hearing aid is water-proof, many are water resistant. This is the way to go to combat Louisiana humidity. We also provide drying units when needed. The life of a hearing aid depends on two things: care and technology. Technological updates and upgrades become available with hearing aids about every 3 years. Our audiologists are thoroughly trained to keep up with changing advancements to offer you the latest hearing aid technology. 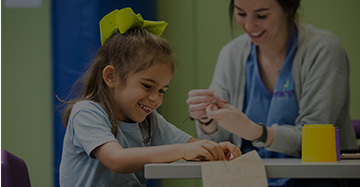 With regular and proper care, hearing aids for children typically last three to four years. Since the ear mold is made especially to fit your child’s ear, it’s likely you will need to have it changed every 6 months to 1 year as they continue to grow, depending on their age. For adults, hearing aids last between four and six years. Hearing aids have small, complex parts, and it is not uncommon over time for a hearing aid to need a repair. You may try to turn the hearing aid on in the morning and find that there is no sound; the battery door may come unhinged. These things do happen, even when the hearing aids are properly cared for. If you should experience an issue that needs repair, contact us to schedule a time to bring your device into our clinic. Some minor hearing aid repairs can be done in the office in a short period of time; others will need to be sent to the manufacturer for repair. If you are a current patient and have hearing aids that were not fit in our office, we are happy to try to repair your hearing aids. We are able to service most major manufacturers of hearing aids, and can tell you in the office if yours is a brand we service. Hearing aids come with a warranty when purchased new. If your warranty has expired, it is still possible to repair most hearing aids with a small fee. Depending on the hearing aid manufacturer, this repair may come with a new year-long warranty.